Definitive resource for all information around Roth IRAs. Sold to Investopedia/IAC. Compare over 400 airport parking lots and book discounted parking. Sold to Oversee.net. AboutAirportParking.com was launched to help consumers answer a simple question, "Where should I park at the airport?" The site brought comparison shopping and user reviews to airport parking and aggregated locations, prices and services of 500+ airport parking lots at all major U.S. airports. AboutAirportParking.com launched a newly developed commerce engine, enabling consumers to book discounted reservations at participating partner lots. In its first two years, AboutAirportParking.com completed nearly 200,000 reservations representing over $10 million in partner revenue. AboutAirportParking.com was named one of the top travel sites by Travel + Leisure. The company was also featured on CNN.com, the Wall Street Journal, LA Times, Chicago Tribune and Daily Candy. AboutAirportParking.com was sold to Oversee.net. T2 Media acquired controlling interest in RothIRA.com and immediately invested in design, technology and editorial to make it the premier resource in its niche. Through high-quality content and expert search engine optimization, the site ranked #1 in Google for virtually every focus search term, outranking the IRS and Wikipedia. T2 established direct advertising relationships with leading brokerages such as Fidelity, Merrill Lynch, E*TRADE and Betterment. 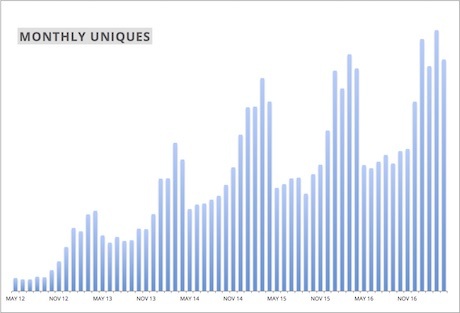 Traffic grew more than 5x and revenue increased 15x. The site was sold to Investopedia/IAC (NASDAQ: IAC). We are easy to reach in all the normal channels. © Copyright T2 Media 2013 - 2019. All rights reserved.